There is always one area that I need improvement on: reading books to children! I always mean well, but sometimes our days get so busy and disappear in an instant. 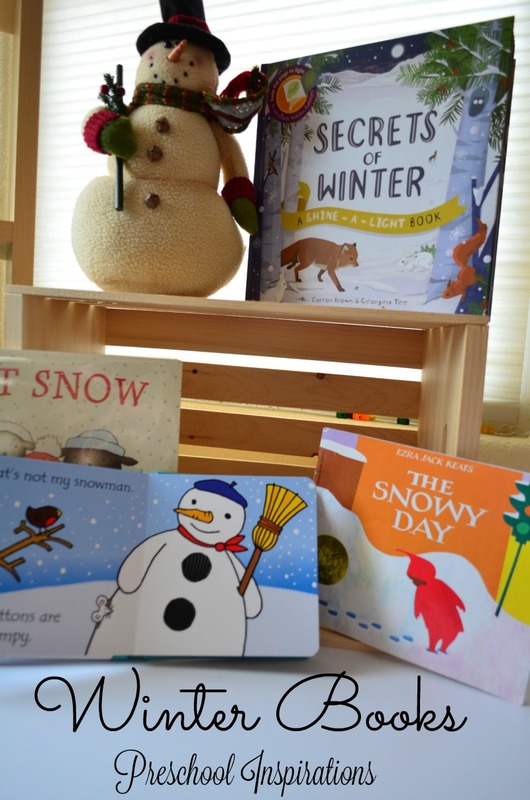 In my quest to be more intentional to reading to children, I made a book list of winter books for children. I’ve included some new titles, some classics, and hopefully some picks that you have never heard of too. It snows in Colorado up to eight months of the year, so we feel like it’s winter for a looooong time. You’ll see that many of the books I’m listing are ones that bring out the magic and nostalgia that I experience from snow. This post contains affiliate links. All links are U.S. links, but the good news is that many of these titles can be found internationally. This book is what I like to call a flashlight book (one of 9 that can be purchased separately or all together). It has hidden pictures that are revealed with a flashlight! 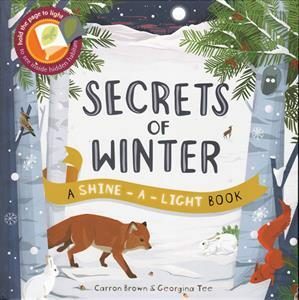 The Secrets of Winter takes us through the magic of winter as we find out what happens to the fish when the pond freezes, who sleeps under the leaf pile, why the squirrel is going into the tree, and more. If you love putting books around the room like I do, this is a perfect supplement to a science area. Just set the flashlight next to it. To see a video of how flashlight books work, come join me in my facebook party where I share my favorite book picks for children ages 0-7. Pipkin, the baby penguin, is trying to figure out how many a million is. We follow him as he searches for a million in the things around him: fish, penguins, snowflakes. Finally, he finds a million with the help of his mother! 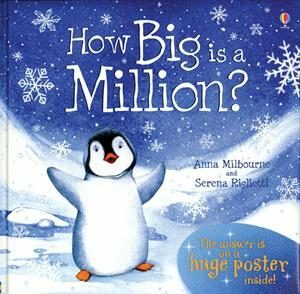 I love how this book introduces quantity to children and helps them wrap their minds around such a huge number. It comes as a hard back with a padded cover, making it extra durable for a classroom setting. This book is my personal favorite winter book. It’s about animals who crawl into a mitten because it is cold outside. I love the anticipation of seeing how many animals will fit! Jan Brett is the author and illustrator, and you may know her for the book The Gingerbread Baby. Her illustrations are absolutely captivating, and I look forward to reading this each winter. I found this gem when I was a toddler teacher, and my classes would tell you that they adore it as well. Snowballs is by Lois Ehlert, and it shows a snowball family made of common items. Leaves, buttons, popcorn, yarn, a bell, and so much more. I can’t help but smile the whole time I read it because each snow person and pet is so creatively designed. This book is also a great one to build a lesson plan off of! And I always love recreating the snow family with the children. In this book a little boy named Pedro experiences snow for the very first time. He is staying with his cousins who are excited to play in the snow. Pedro is apprehensive to this new experience though. He accurately describes the emotions and feelings someone has when they are not sure about trying something new. The cousins make me think of my own children, who have grown up playing in the snow. They want to taste the snow, make snow angels, and even go sledding. And they try to convince Pedro to enjoy snow through these experiences. I was on the edge of my seating waiting to see if Pedro would grow to love snow too. 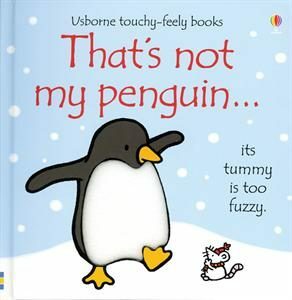 This book comes from a series of touchy, feely books. I always have sensory seekers around, so touchy, feely books are the best outlet while giving children a love for literacy at the same time. In this book, we explore many textures through the pages: velvety, silky, shiny, fluffy, and more! Children are learning to associate adverbs as they are able to touch the texture. You may have heard of this series before because these books are so well loved and stand the test of time with their incredibly sturdy cover and pages. We love this Mercer Mayer story and the incredibly adorable illustrations. If you’ve grown to love the Little Critters from other stories, you will enjoy this one as well. They build a snowman and fix him the best snowman food of course: snowball soup. It uses some of the most common words a child will learn to read, which are known as high frequency words or sight words. I love using it to read aloud during circle time and also as a book to cozy up with. This fun book is written by the infamous PD Eastman, aka Dr. Seuss. True to “Seuss-style,” there is lots of wonderful rhyming, and the book is very engaging. My daughter is learning to read right now, and it is right at her level, which made it even more fun. I love finding books that she can start to read on her own, and this one was great for that. Wordless picture books are important to have around, so if you could use a wordless title around, I highly recommend this one. Feel free to read this article about the benefits of wordless picture books. Peter takes us through the excitement and joy of going out in the snow. The story makes me think of what it is like to wake up to the first snow of the season! That is always a wonderful moment in our own household. My children are usually out the door by 7 a.m. on those days, no matter how cold it is. Peter crunches in the snow, knocks snow on himself, makes snow angels, and my favorite part – puts a snowball in his pocket. This is a book to read over and over again.